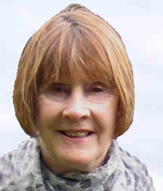 I am a fully qualified counsellor, psychotherapist and hypnotherapist. Originally from a nursing background, I worked as a counsellor in a group practise for 10 years prior to working independently. I work in an integrative holistic way, structuring the sessions according to my clients needs. My passion is to raise the self-esteem of my clients, as I believe that much of the emotional suffering people experience results from low self-esteem.